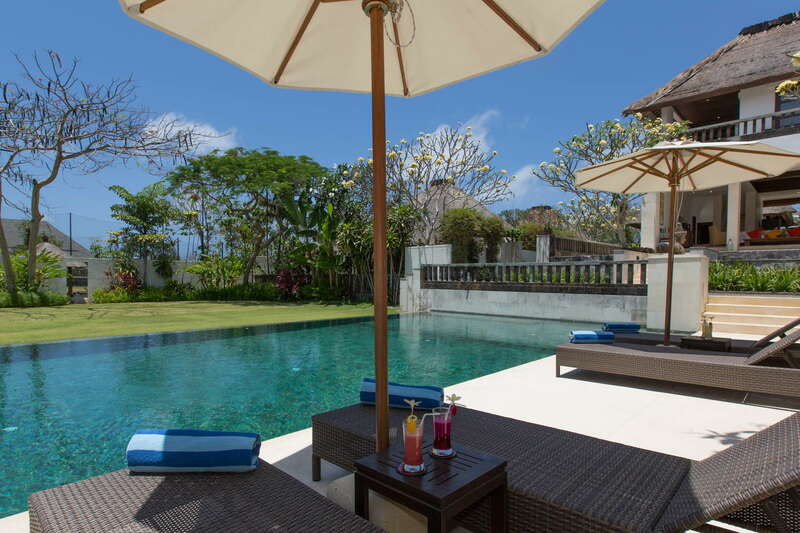 Villa Karang Putih is an enchanting, secluded and close to nature Bali rental villa. 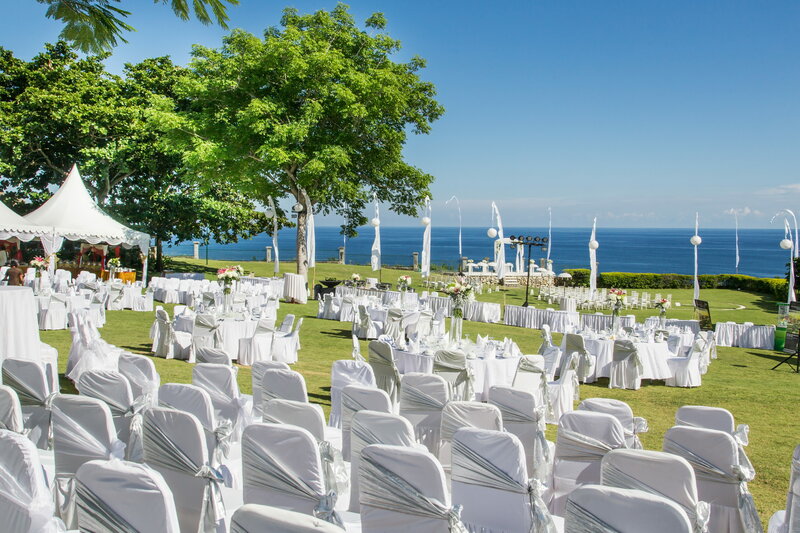 It sits in the edge of beautiful cliff in Pandawa Beach and offering 180 degrees of breath taking Panoramic Ocean View. 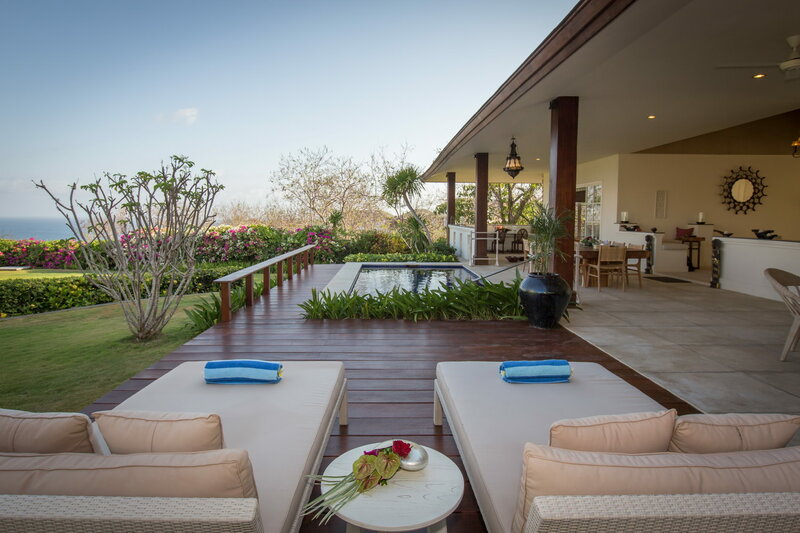 Accommodation includes three luxury villas The Karang Putih, The Karang Dua and The Karang Nusa. Each of villas equipped with sophisticated interiors furnished, a fully equipped kitchen and private swimming pool for each of its. This spacious holiday villa can be rented into 2 Bedrooms, 3 Bedrooms, 5 Bedrooms, 8 Bedrooms and whole estate consists 11 Bedrooms. 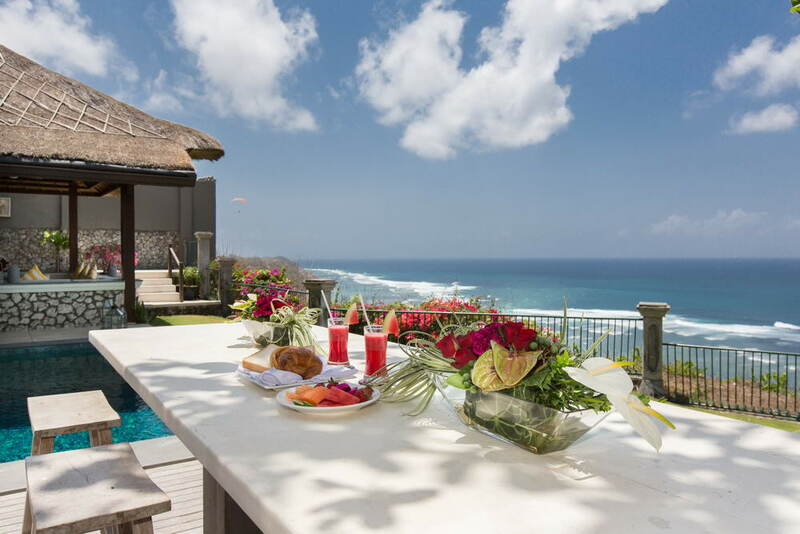 This is a new definition level of luxury villa in Bali. 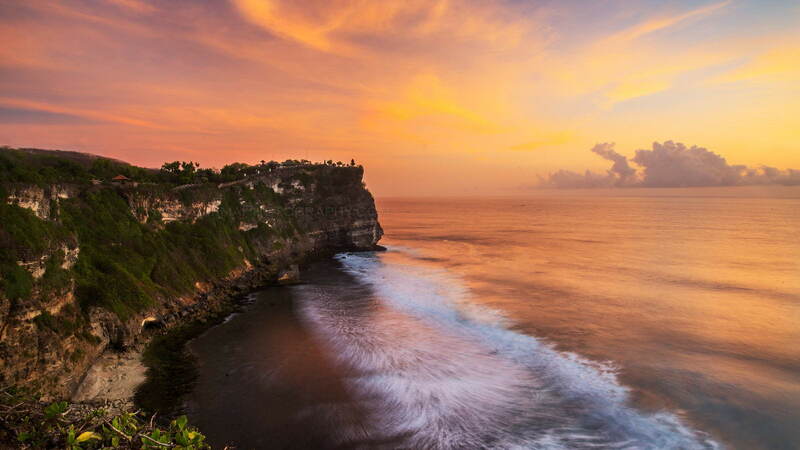 Majestically sits proud in front of cliff upon Bali Ocean. With sea breezes greets your face, giving you the real Balinese hospitality luxury. This three bedroom villa is very unique; it has 1 unit main swimming pool and 2 units of plunge pools on 2 separate bedrooms. It has own ocean view directly from swimming pool. With heavy influence of Western Style, offering you luxury in white house concept. 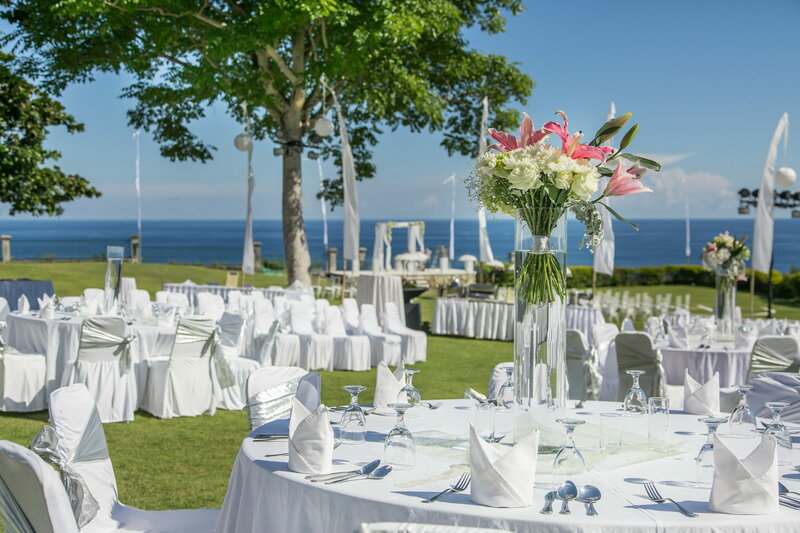 These venues are suitable not only for weddings but for corporate gatherings, parties for family and friends to celebrate special events.